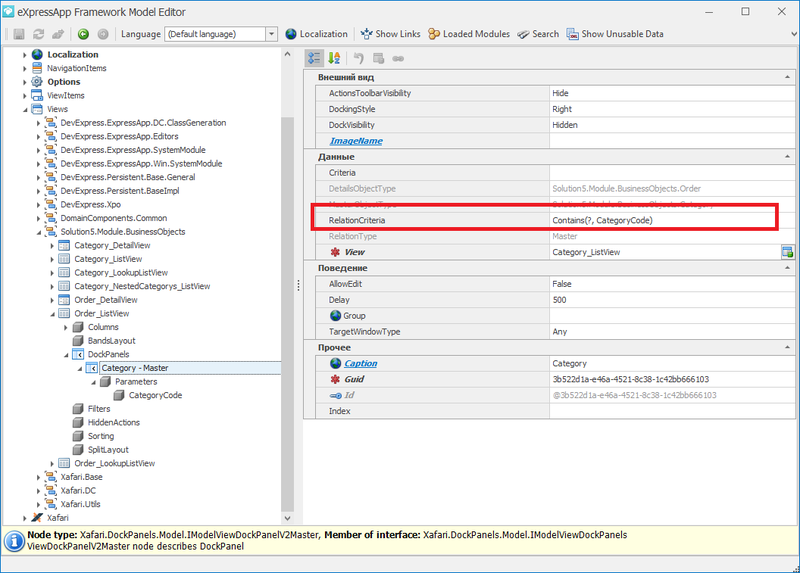 How to set relationCriteria for master panel with tree. The 'Category' is a 'Tree'. 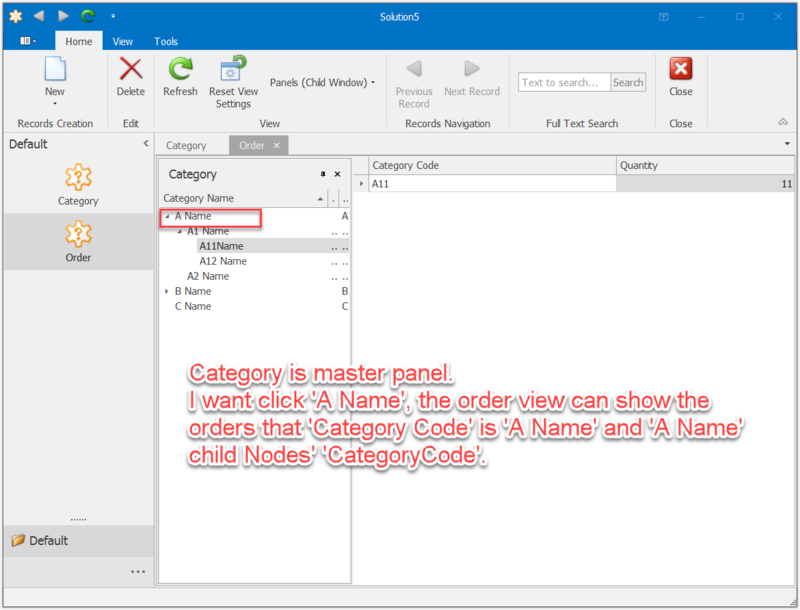 I want the 'Order' ListView can show the records that 'Category Code' is the tree selected node and its children node. Please see 01.png. 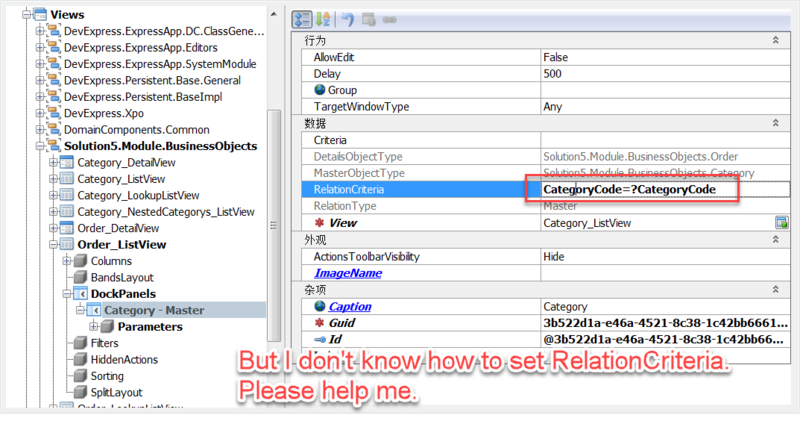 But I don't know how to set the relationCriteria. Please see o2.png. attached is the picture and my sample solution. We have investigated the issue and decided it. 1. 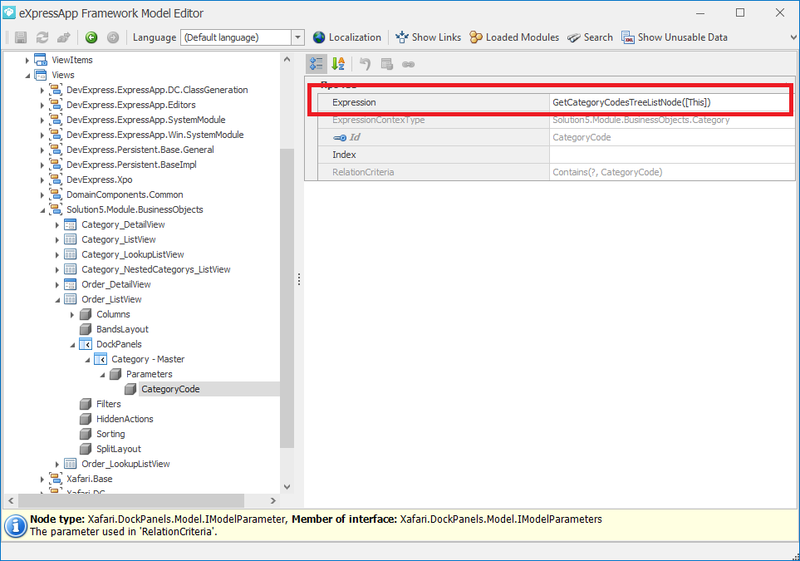 We implemented a custom Criteria Language Function: GetCategoryCodesTreeListNode, which return string with all CategoryCodes in selected node. This field specifies an expression that is used in 'RelationCriteria'. If you need any further assistance on this subject, please feel free to reactivate this ticket. This problem has been puzzling me for several weeks, and thank you for putting forward the idea of solving the problem. I will try some more general solutions based on your idea.